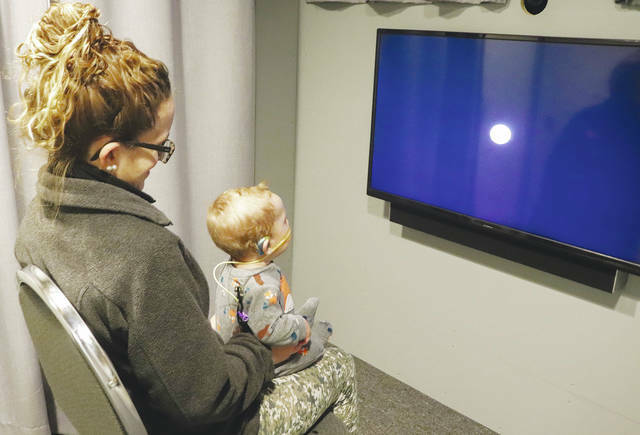 COLUMBUS – Differences in cognitive development between hearing and deaf children start in infancy, according to new research by The Ohio State University College of Medicine published today in the journal PLOS ONE. When a baby successfully encodes a visual object, they lose interest and look away. To test their visual processing skills, researchers showed 23 deaf infants and 23 hearing infants ages 7 to 22 months a colorful object on a screen. Deaf infant looking times were 30 seconds longer than hearing infants and the deaf infant look-away rate was approximately 40 percent lower than hearing infants.